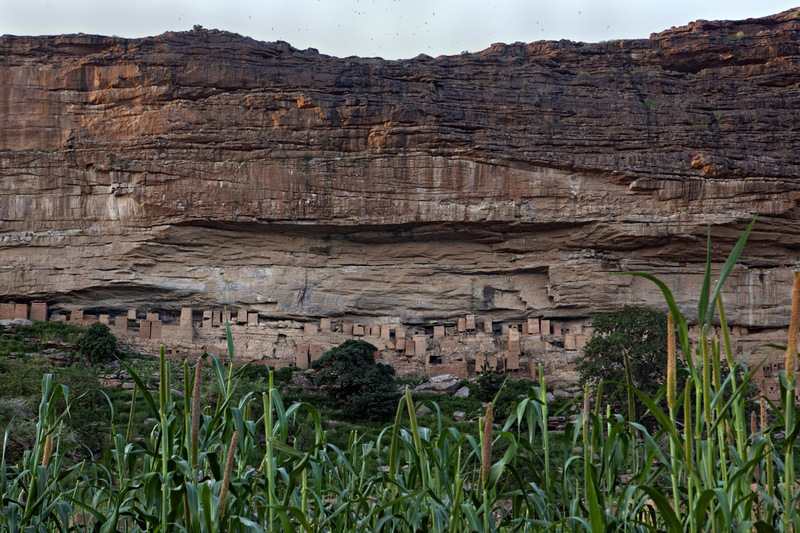 The main cliff in "The country of Dogon people". Long time ago, the people used to live in the old and tiny houses built at the very bottom of the cliff. Some decades ago, inhabitants decided to move and establish the village down in the valley. "Mil" fields are all over the area and the Dogon people will harvest in December. The Mil is a local cereal.